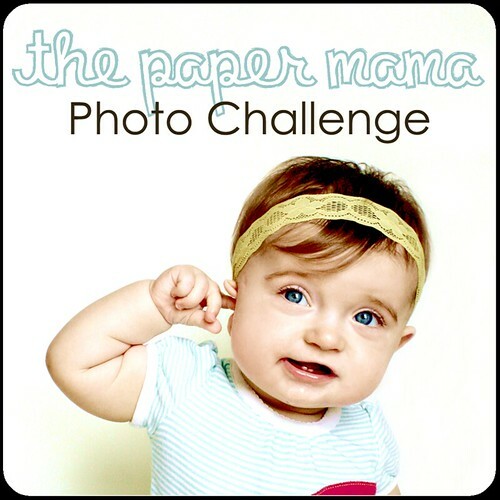 This week at The Paper Mama, the photo challenge is red. Aubrey has been obsessed with her light up ladybug lately, especially the red light. It also has blue and green. Getting a good picture of her with this light wasn't that easy but this is what I got. During the day the only good place to see the light is in the hallway with all the bedroom doors closed. 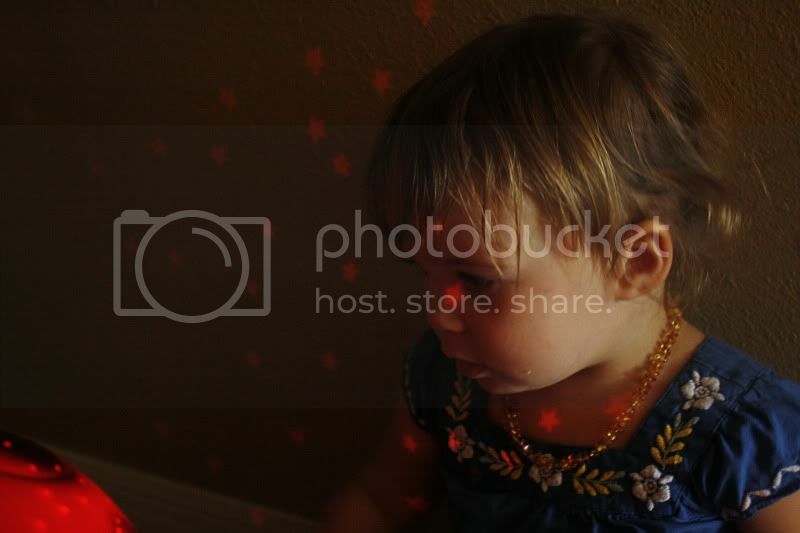 The photo challenge at I Heart Face is a touch of light. I immediately knew the photo I wanted to enter. This is Aubrey when she was about 14 months old. 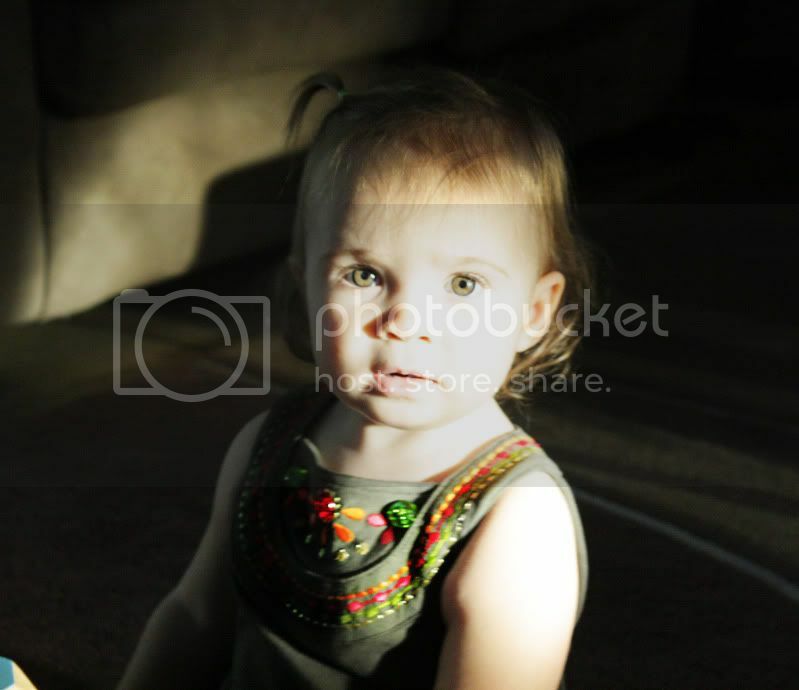 I had just started to almost exclusively use the manual setting on my camera and she sat down to play in the only light in the room which was shining through the sky light. I can't tell you how many times I've tried to get her to do it since but I haven't been able to get a shot as good as this one. I love the photo of Aubrey with the red lights. I also love the shirt she's wearing! 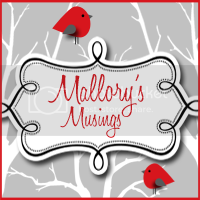 LOVE your pic for "red," it's so original.Plus how cute is she in that little neccklace! BEAUTIFUL light in the 2nd shot, just perfect! Your daughter is so precious! i love everything about this shot. Wonderful! i'm in heaven in manual mode! although it takes me awhile to get exactly what i want. ; ) your pictures are really good. i always have such a hard time with indoor light. especially when it's dark! you did a great job with both shots!!! Red stars pic looks awesome. We have that same night light lady bug!! Great shot and thanks for the comment! Beautiful Pics!! Your daughter is gorgeous!! These are both such great picks for the challenges!